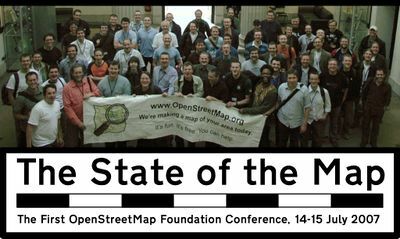 The State Of The Map is the name of our OpenStreetMap conference(s). However, as there has only been one so far, all the information below refers to the State of the Map conference in 2007, held at the University of Manchester, UK. OpenStreetMap's first conference was at the centre of the geographical industry universe on the weekend of 14/15 July 2007, supported by Manchester University's School of Environment and Development.